Trimmed with pretty bows and flowers. Includes the headband and bloomers. Lovely example of a quality Disney product. 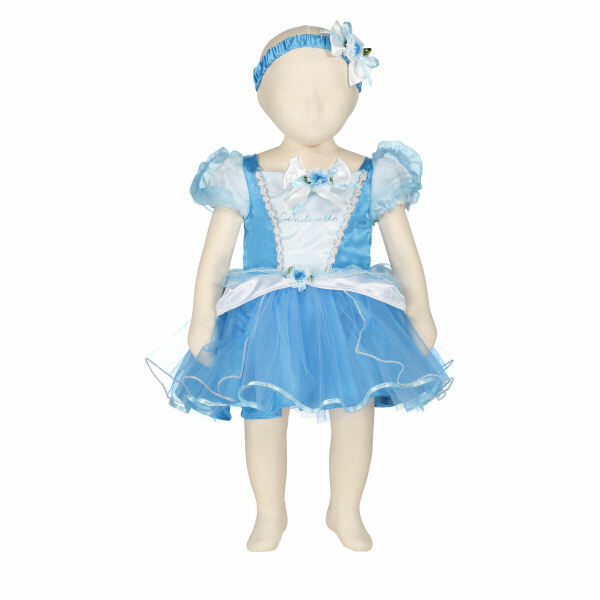 Machine washable on 30 degree Celsius wash.
A gorgeous blue dress trimmed with pretty bows and flowers. 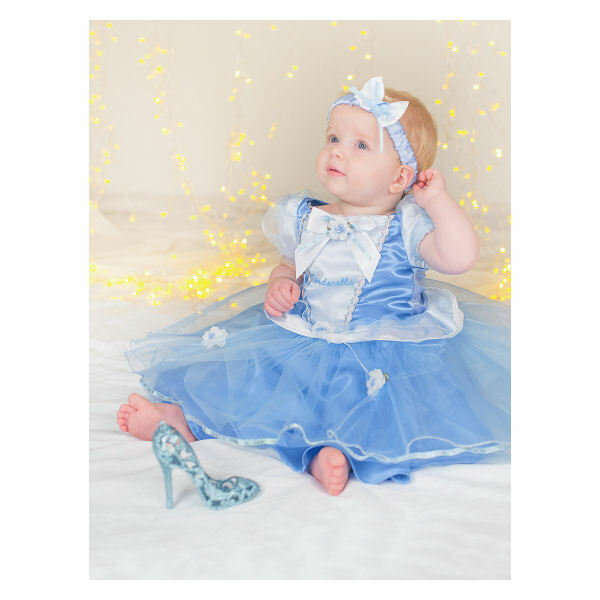 Share your babies first Disney experience with this beautiful Belle princess dress with bloomers and headband. 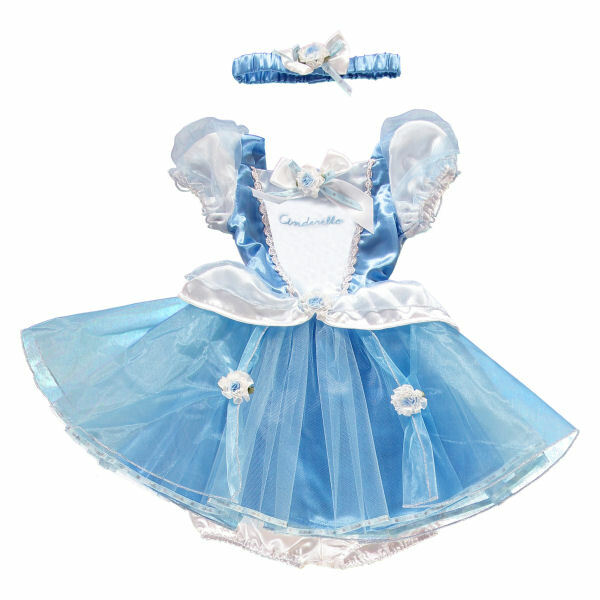 There are no videos for Disney Princess Cinderella Costume Dress By Disney Baby at present.